My latest novel is now available! 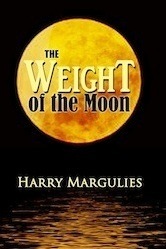 The Weight of the Moon, a Noveltunity Book Club Selection of the Month winner, features adult humor in a complicated, wine and marijuana hazed, sexually-charged search for the truth. This entry was posted in The Weight of the Moon. Bookmark the permalink.